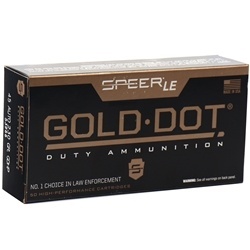 Wolf Military Classic 30-06 Springfield Ammo 145 Grain FMJ Steel Case ammo for sale online at cheap discount prices with free shipping available on bulk 30-06 Springfield ammunition only at our online store TargetSportsUSA.com. 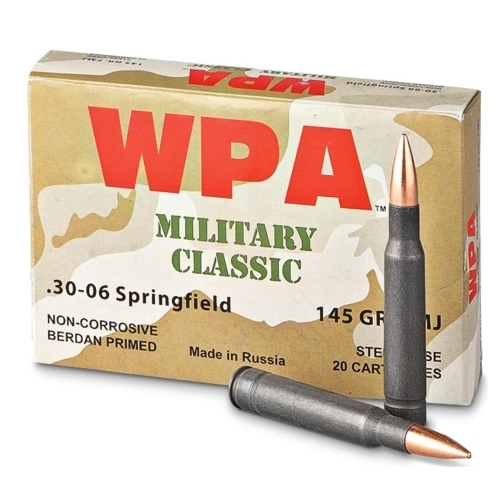 Target Sports USA carries the entire line of Wolf Military Classic ammunition for sale online with free shipping on bulk ammo including this Wolf Military Classic 30-06 Springfield Ammo 145 Grain FMJ Steel Case. Wolf Military Classic 30-06 Springfield Ammo 145 Grain FMJ Steel Case ammo review offers the following information;The answer to every hunters wish is Wolf Military Classic ammunition! A consistent, dependable and reliable round, a major factor in high volume shooting, allowing each round to be a good "bang for your buck". Wolf develops all ammunition to be manufactured with the “Mil-Spec” design delivering reliable functioning along with a polymer coating to ensure smooth feeding and extraction putting the shooters mind at ease with less jamming. By using this technique for each caliber, Wolf is able to guarantee results with the highest quality, extreme durability and dependability yet keeping it as inexpensive ammunition. Though Wolf is Russian made, this is American made ammunition perfect for hunting whether by a professional or a novice, new to shooting/hunting in general. Wolf Military Classic ammunition is an excellent choice for recreational shooting or high volume competition when consistency and reliability are key. Wolf ammunition is known for their 100% Performance Guarantee. They are the only company that will refund you the money for the unused portion if a shooter is not satisfied with the ammo. 30-06 Springfield ammo by Wolf Military Classic is a new production ammo that features 145 Grain Full Metal Jacket bullet. This Wolf ammunition in NON re-loadable and features steel cases and Berdan primers. All 30-06 Springfield ammo by Wolf is non-corrosive. MC3006 by Wolf Military Classic is packaged in boxes of 20 and cases of 500 with free shipping included on case quantities. Wolf Military Classic ammo is created with a Mil-Spec design for a smoother feed and extraction. This 223 Remington ammunition by Wolf is high quality but inexpensive, a perfect pick for any high volume shooter or hunter.